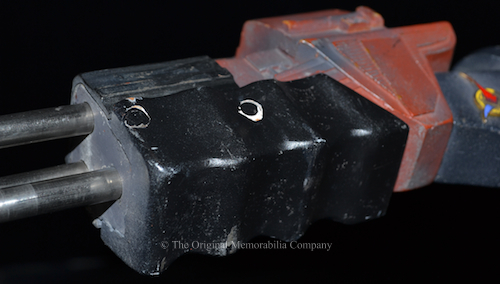 Star Trek VI The Undiscovered Country Klingon Disruptor Pistol "Shotgun-style"
Star Trek VI The Undiscovered Country Klingon Disruptor Pistol "Shotgun-style" Screen-matched to specific use in Star Trek VI and matched to a 1989 photograph on RAC Props website. 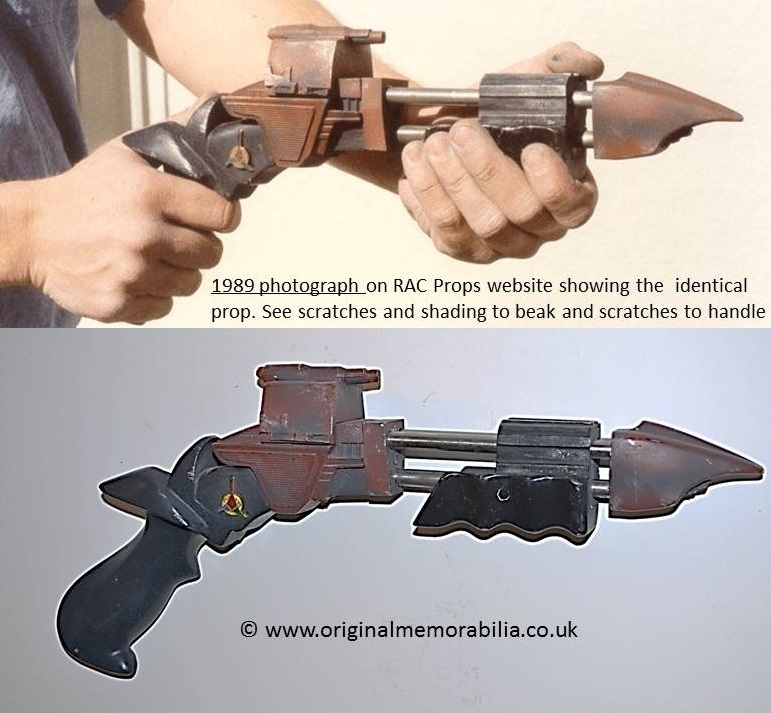 Screen-matched to specific use in Star Trek VI and matched to a 1989 photograph on RAC Props website. 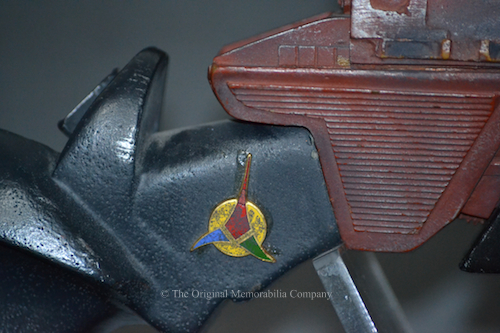 "Talk about a rarity – how about a one-of-a-kind? 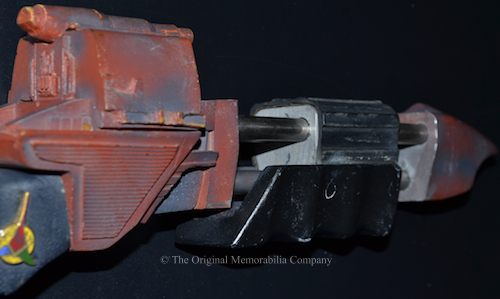 This awesome piece was screen-used in Star Trek VI by Brigadier Kerla"
This wonderful piece was screen used in Star Trek VI and matched to a 1989 photograph on RAC Props website of the identical piece. 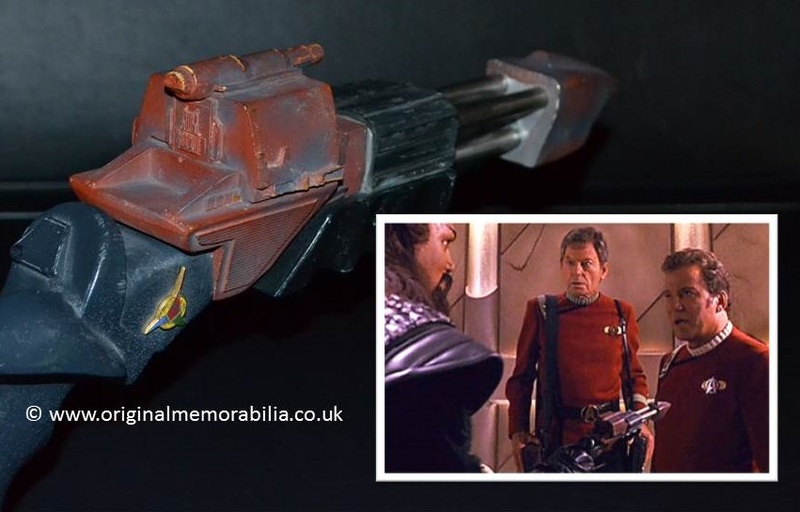 Richard Coyle of Star trek prop makers RAC Props has also confirmed in writing that he made this special pistol. 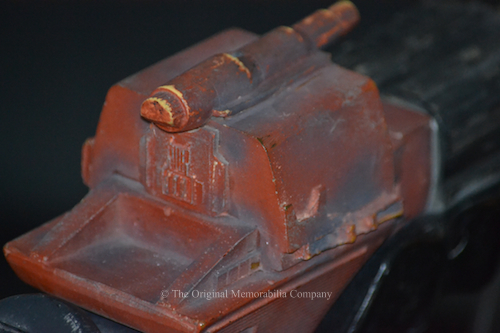 This pump action beaked nose disruptor is a solid very heavy piece made of cast resin with a sliding black pump and is painted in the familiar Klingon rust, metallic silver and black colour scheme with distressed finish. 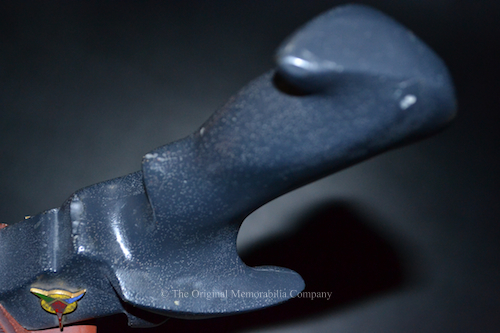 A truly unique piece with the ultimate provenance.